Enriched with Jojoba seed oil, Grapefruit extracts and Vitamin B5, this strengthening conditioner repairs weakened, increasing length and manageability without dryness. Jojoba seed oil replenishes lost moisture while antioxidant rich Chamomilla Recutita and Grapefruit Extracts promote healthy hair growth. Breakages are prevented with the help of Yucca Filamentosa Extract and Vitamin B5 which strengthen your hair while Wheat Protein improves elasticity leaving your hair feeling nourished and refortified. After shampooing work lightly through the hair paying particular attention to the ends and rinse thoroughly. For best results use Jason Jojoba Shampoo. The Jason Jojoba Conditioner- Long and Strong - 480ml product ethics are indicated below. To learn more about these product ethics and to see related products, follow the links below. This conditioner does not condition my hair. It leaves it so badly knotted, matted and dry I have had to use another conditioner afterwards in order to get a brush through it. Very disappointing. 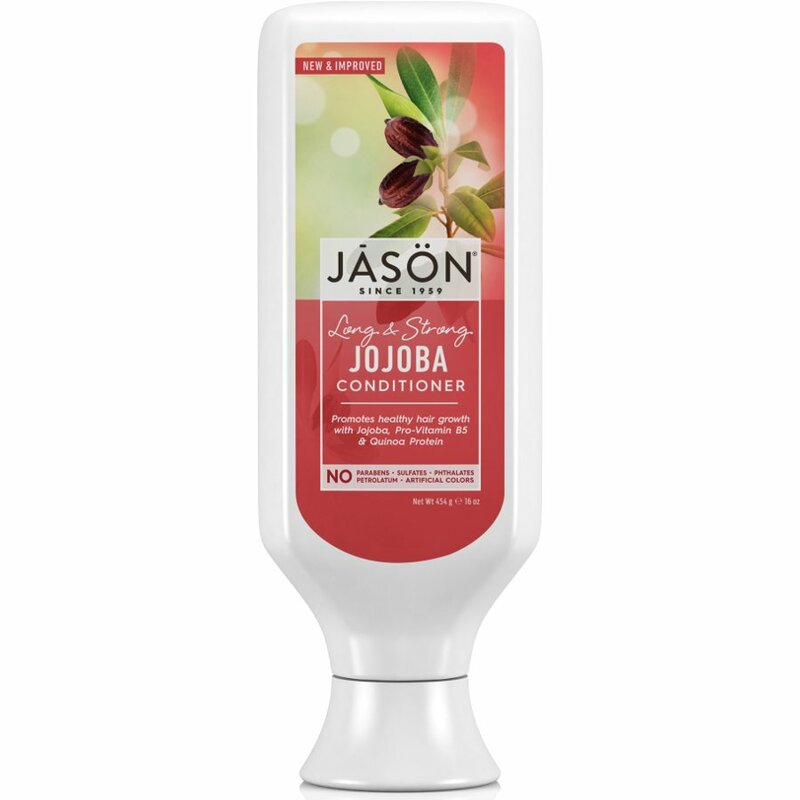 There are currently no questions to display about Jason Jojoba Conditioner- Long and Strong - 480ml.